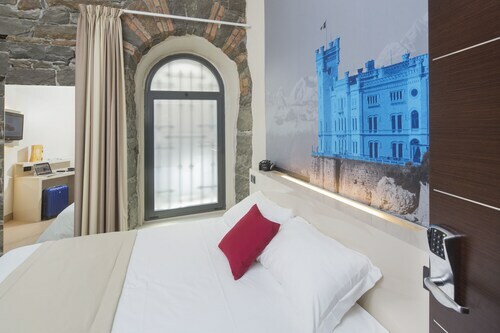 Located in Trieste City Centre, this hotel is within a 10-minute walk of Piazza Vittorio Veneto, Israelite Temple of Trieste, and Canal Grande di Trieste. Roman Theatre and Piazza della Borsa are also within 15 minutes. Trieste–Opicina Tramway is only a 2-minute walk and Trieste Central Station is 7 minutes. 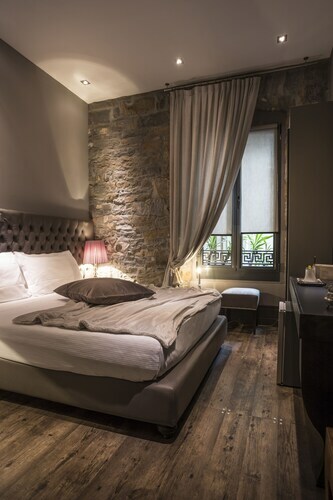 Located in Trieste City Centre, this hotel is within a 10-minute walk of Piazza Vittorio Veneto, Canal Grande di Trieste, and Greek Orthodox Church of St. Nicholas. Teatro Lirico Giuseppe Verdi and Israelite Temple of Trieste are also within 15 minutes. Trieste Central Station is only a 2-minute walk and Trieste–Opicina Tramway is 5 minutes. 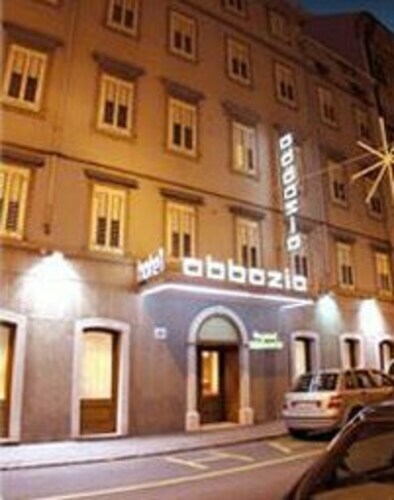 Located in Trieste City Centre, this hotel is steps from Piazza Vittorio Veneto and Canal Grande di Trieste. Roman Theatre and Piazza della Borsa are also within 10 minutes. Trieste–Opicina Tramway is only a 3-minute walk and Trieste Central Station is 8 minutes. 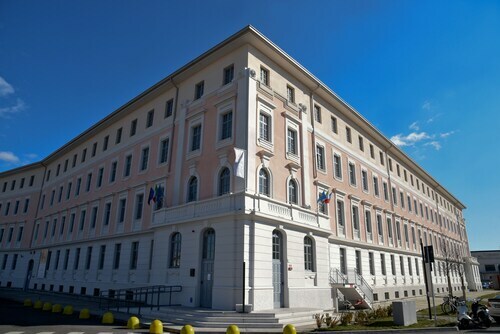 Located in Trieste City Centre, this hotel is within a 10-minute walk of Piazza Vittorio Veneto, Canal Grande di Trieste, and Israelite Temple of Trieste. Greek Orthodox Church of St. Nicholas and Piazza della Borsa are also within 10 minutes. Trieste–Opicina Tramway and Trieste Central Station are within a 5-minute walk. 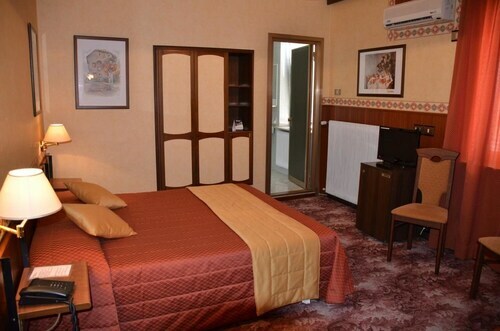 Situated near the airport, this hotel is within 6 mi (10 km) of Duino Castle, Rilke Trail, and San Giovanni del Timavo. Redipuglia War Memorial and Colle Sant’Elia of Redipuglia are also within 9 mi (15 km). Monfalcone Station is 29 minutes by foot. 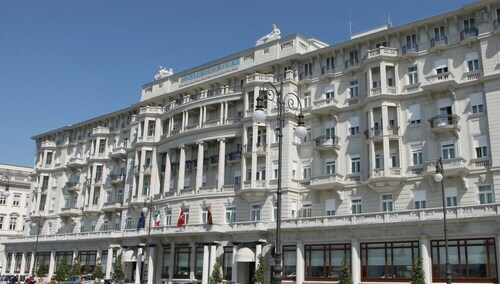 Located in Trieste City Centre, this hotel is within a 10-minute walk of Piazza Vittorio Veneto, Canal Grande di Trieste, and Israelite Temple of Trieste. Roman Theatre and Piazza della Borsa are also within 10 minutes. 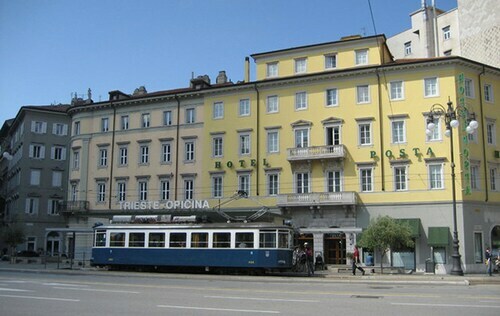 Trieste–Opicina Tramway is only a 2-minute walk and Trieste Central Station is 5 minutes. Located in Barriera Vecchia-San Giacomo, this hotel is within a 15-minute walk of Castello di San Giusto, Cathedral of San Giusto, and Arco di Riccardo. Basilica Paleocristiana and Santa Maria Maggiore are also within 1 mi (2 km). Trieste–Opicina Tramway is 20 minutes by foot and Trieste Central Station is 27 minutes. 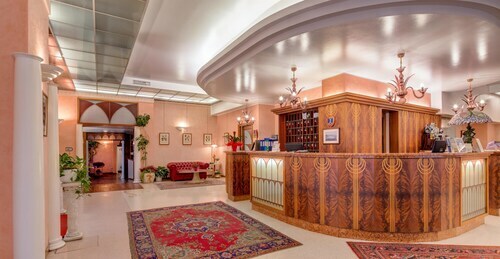 Located in Trieste City Centre, this hotel is within a 10-minute walk of Piazza Vittorio Veneto, Canal Grande di Trieste, and Israelite Temple of Trieste. Roman Theatre and Piazza della Borsa are also within 15 minutes. Trieste–Opicina Tramway and Trieste Central Station are within a 5-minute walk. Situated in Piran, this hotel is within a 5-minute walk of Tartinijev Trg and Piran Harbour. Portoroz Beach is 2.1 mi (3.5 km) away. Situated in the suburbs, this hotel is within 9 mi (15 km) of Palazzo Patriarcale, Museo d'Arte Moderna, and Loggia del Lionello. Piazza della Liberta and Porticcato di San Giovanni are also within 9 mi (15 km). Pradamano Station is 29 minutes by foot. Situated in Capriva del Friuli, this hotel is 0.5 mi (0.8 km) from Villa Russiz and within 6 mi (10 km) of Marco Felluga and Vie di Romans. 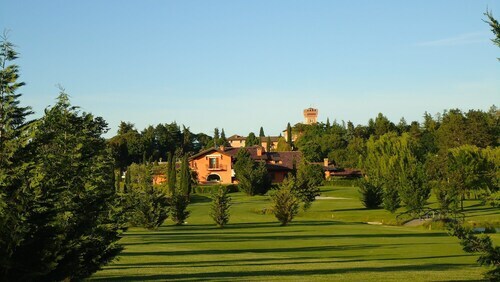 Eugenio Collavini Vini and Spumanti and Collio Livon Winery are also within 6 mi (10 km). 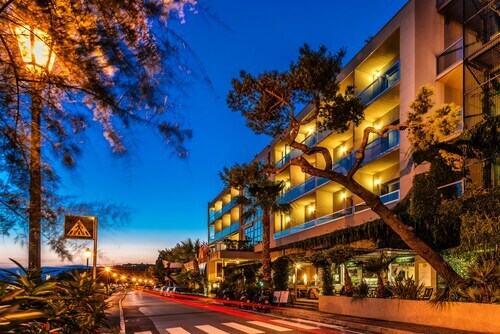 Nestled on the beach, this Piran hotel is within 1 mi (2 km) of Tartinijev Trg and Piran Harbour. Portoroz Beach is 1.9 mi (3.1 km) away. 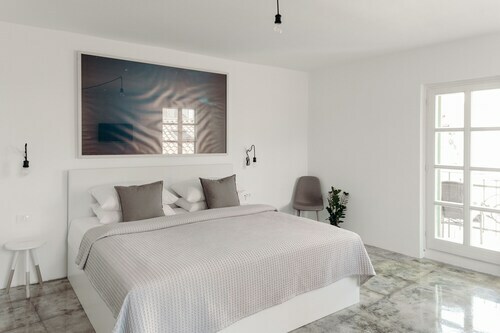 You can find 3 star hotels in Monfalcone that keep you close to all the great sightseeing and activities around the area, or even book a place that’s a bit more secluded, if that’s what you prefer. No matter what you’re looking for—whether you’re all about the location or are invested in on-site perks--Travelocity will help you find the accommodation that works best for you. When it comes to options, you’ll have them. 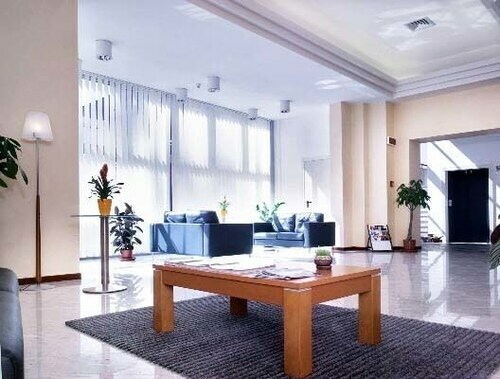 The Monfalcone 3 star hotels give you plenty of choices as far as access to the best areas, and many also offer a breakfast buffet, as well as plenty of other amenities like high-speed Wi-Fi and an on-site pool or spa. Whatever you’re looking for on your next getaway, browse Travelocity’s big selection of hotels to ensure you get the best possible deal. 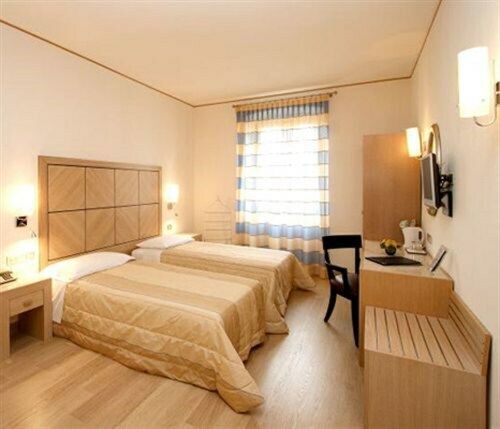 Book one of the best 3 star hotels in Monfalcone today! 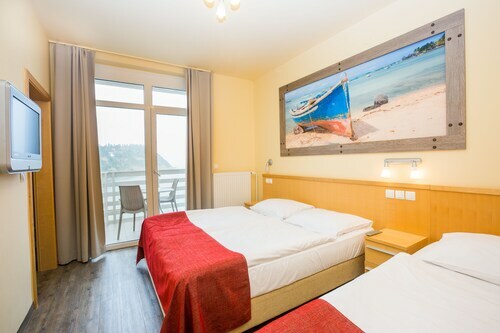 Fabulously decorated hotel with comfortable rooms in a superb location! 5.0 Beautiful sea view. Great accomadations&service. We celebrated our anniversary and everything was exceptional! This hotel is on the 2nd floor of a building on a main street (Via Roma) within 5 minutes of the main train station, the docks, and old town. Excellent for restaurants and sightseeing. Parking is close to impossible in Italian cities but if you don't have to worry about a car, this is where you want to be. The staff was very accommodating and helpful with tips on where to go, etc. Breakfast was included and typical Italian continental: tasty meat/cheese but a bit limited in other items. Although the room was a bit small, the bed was great, the pillows OK, and the internet/TV worked very well. The lobby lights do not turn on automatically so at night, it gets dark and the elevator is tiny. Our room came with its own small bathroom but some other rooms share bathrooms so make sure you specify what you want before you pay. The hotel is conveniently located across the square from the train station. Our room was large, simple, and clean. Original art hangs throughout the hotel. Great location, near the most famous Square in Trieste! Also near the train station. The hotel was clean and comfortable. The reception staff were very friendly and helpful with tourist advice and arranging services. Breakfast was included and was very good.